A nice gift that benefits local charities! Get the entire 'Lamb' collection for the holidays or after. 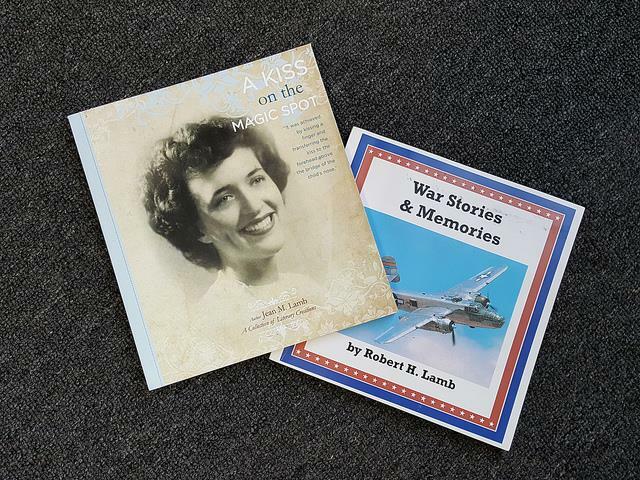 Kettering Rotarian Bob Lamb has two books available, one that tells his very personal story about war, life and love, and the other, just released in memory of his wife. Jean Lamb would write and draw inspirational poems of love, family life and spirituality. She passed away earlier this year and Bob and his family created the book to raise funds for Hospice of Dayton and the Alzheimer's Association. A $20.00 donation will get you Jean's book 'A Kiss on the Magic Spot' - truly a heart warming gift for the holiday.